Search Results: 151 results in 0.0215 seconds. 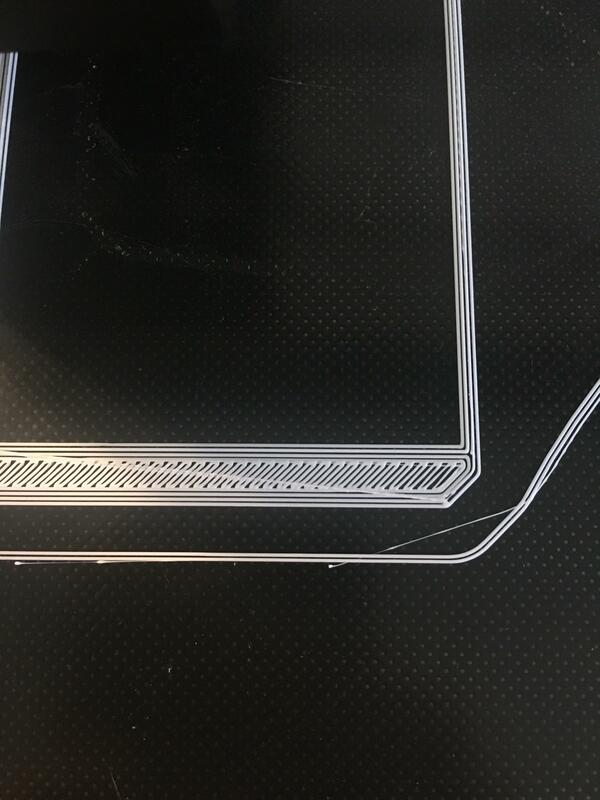 I am new to 3D printing and am experiencing some difficulty with my Creality Ender 3 printer. Hello, I'm new to 3D printing, I bought my first printer about a month ago and I'm hooked. I have made around 25 prints so far on my Sindoh DP200 and the prints look great. An error code "EC 356" came up and I was wandering if anyone can tell me what it means. I searched the manual under codes and it was nowhere to be found. Please help! Last edited by lokibrok; 01-10-2018, 06:37 PM. The problem is that I'm having an issue with my z axis. When I choose the option "Home all" the X and Y axis position correctly, but the z axis keeps trying to go down for 3-4 seconds until it stops. When I try to force the z axis to go up, it just keeps going down all the time. My environment for printing so far was: prusa i3 clone, with wade extruder, 3mm fill, 0.4mm noze, and slic3r. Now I have a chance to test completely different printer, workiing in corexy mode, with bowden all-metal extruder and 1.75mm filament (also 0.4mm). PaulR started a topic Need Help: Hey folks , where to buy Creality? Hey folks , where to buy Creality? Im in the Netherlands and looking to buy a Creality cr10 S printer. I have read lots of bad reports on Gearbest so really I should stay away from them I think. However they do have the best website all the other suppliers websites I have found seem very scammy, amateur and really difficult to navigate. Last edited by Admin; 02-23-2018, 12:21 PM. Nogaaa started a topic Need Help: Best Prusa i3 kit? I'm relatively new to 3d printing. I took a class on it once, but it was more about the modeling side of things- my teacher took care of anything to do with the actual printing. Now I'm looking for a desktop-ish (a little larger than desktop size would be great) printer, with a budget of 200$ stretchable to 300$. I've got my eye on the Prusa i3, but there are so many different kits and I can't decide on which to get. geri22geri started a topic Need Help: The final answer, I'm so confused. The final answer, I'm so confused. Which 3d printer is better for a person that has no experience in 3d printers but wants decent quality in this price range (-200$+)? Anet A8, Anet A6, Tevo tarantula? If I have to do some upgrades there is no problem, but they shouldn't be very difficult to make as I have 0 experience. But I can follow some steps in order to make them. Tansar217 started a topic Need Help: Anet A8? Hey there! I'm looking to buy my first 3D printer and am new to this kinda of stuff. Last edited by Tansar217; 04-28-2017, 12:58 AM.